Delivered to the room of your choice with a Free Two Man Delivery Upgrade! Introducing the luxurious Rhea Fabric Bed Frame from Limelight's Signature Collection - the statement bed your bedroom deserves. 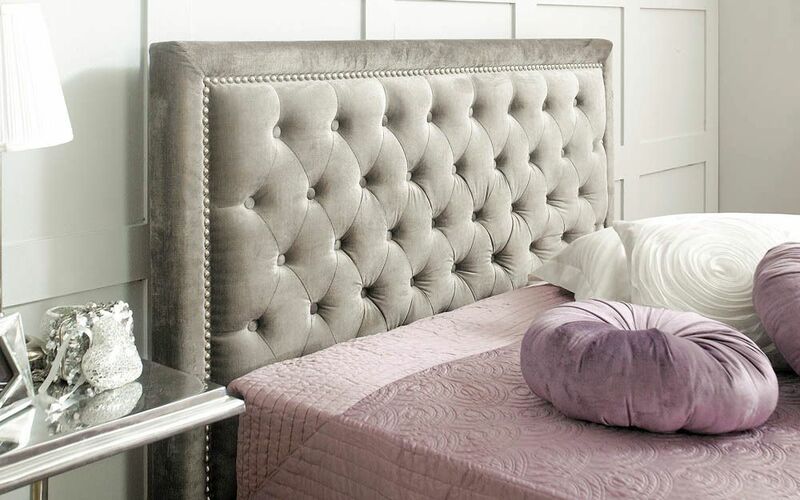 An elegant design brings this bed to life, giving you the ultimate in style and comfort! 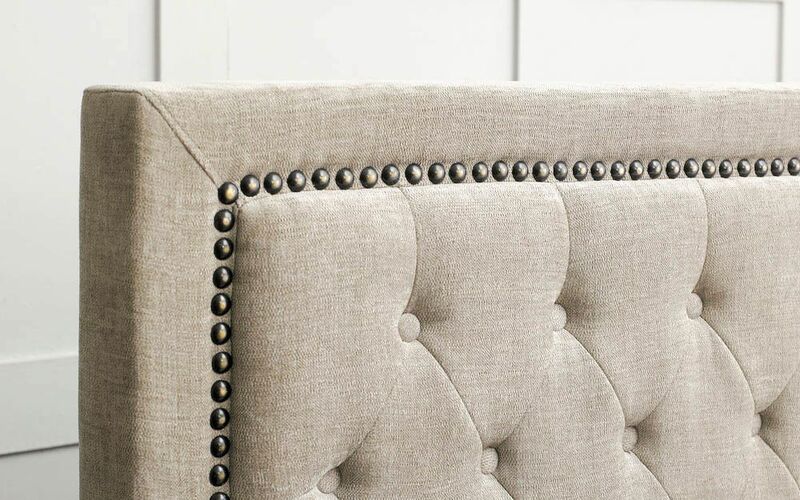 The Rhea is crafted from a luxurious square headboard with quilted, button detailing, edged with brass effect studs! Complete with a supportive sprung slatted base, the Rhea works with your mattress for enhanced comfort during the night. Finished in a lush velvet fabric in luxury silver or mink, the Rhea will stand out in any room. Delivered Within 7-15 Days With Free Two Man Delivery Upgrade! Please allow 7-15 days for your delivery to be arranged.